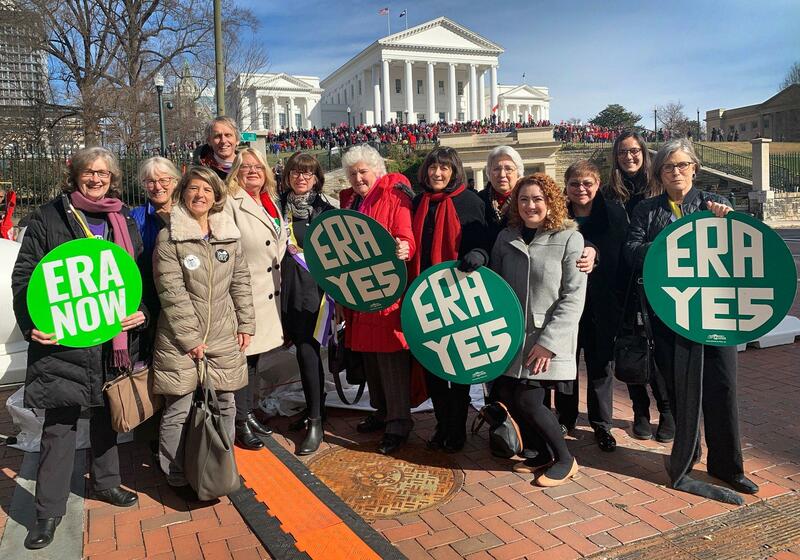 Virginia NOW invites you to join other members, friends and supporters Thursday, February 14th to rally on the Capitol steps in Richmond in support of the Equal Rights Amendment. National NOW President Toni Van Pelt will be speaking! Together, we can make history by making Virginia the 38th state to ratify the ERA. The Resolution to ratify the ERA has resoundingly passed the Senate but is being held hostage by a House committee. Today, Virginia NOW President Connie Cordovilla contacted delegates to tell them timely action is needed this week to shine a bright light of success on our beleaguered Commonwealth. The ERA needs to come to the House floor, where there is bipartisan support to pass, and we can show that Virginia is the state for lovers of equality. Contact your delegate now with this message: 81% of all Virginians are in favor of ERA Ratification. Bring the ERA to the floor for a vote.